Roj Blake is introduced to his rebel past by someone who had worked with him. Confused by the information that everything he remembers is created memory, Blake walks away to think, and then hides as federation troops arrive and kill the attendees at the rebel meeting. In an attempt to embarrass him with the movement, Blake is convicted as a child molestor and put on a prison ship to Cygnus Alpha, along with Jenna, a smuggler, and Villa, a thief. The crew now realizes that they aren't invincible. 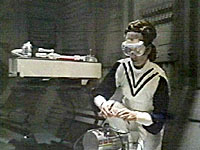 Blake transports down to an uninhabited planet, telling Orac to tell the crew if they ask. They do, though Avon thinks it's a ploy for sympathy. The rest take Blake at his word that they can leave if they want, but they decide instead to get Blake back. Rather than being uninhabited, it turns out that the whole planet is alive and eats the creatures that live on the surface. 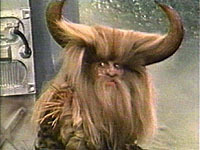 Blake tries to save Zil, one of the short-lived, bird-like creatures, but fails. Just before Blake would get absorbed himself, he's beamed up by Avon's automatic transport search pattern. And now they're free to let Avon find Federation torturer Shrinker. How does Avon find Shrinker? 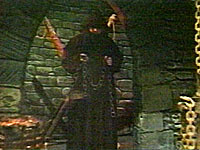 He lets himself be captured, and tortured, knowing that eventually he will be tortured by Shrinker. This is determination. When he does find Shrinker, the destiny he's set for him is one of long suffering. He maroons Shrinker in cave from which there's no escape without teleportation, to suffer till he dies. The only escape Avon offers is a gun. 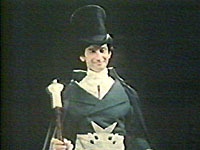 Tales of Search for Spock and the Genesis planet! The crew are disturbed because Avon has locked them off the bridge and they have no idea where they're going. Avon refuses to tell them anything. He's following some directions and has a time limit to reach wherever it is he's taking them. 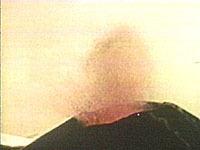 A cloud of unknown composition stands in the way and the crew, now able to talk to Avon, tells him to go around it, but Avon refuses. The delay that would cause would be too long, though he still won't tell the crew why. Tarrant pushes and gets a gun in the gut for his trouble. When they finally reach Avon's goal, it turns out to be the planet Terminal. Avon informs them that they are not to follow him down, but to leave if he doesn't call in at a given time. This is Avon at his confusing best. And there's no Blake on board to understand his meaning rather than his words. Yes, Avon would kill even his friends to find Blake, but he would give up any chance of his own to be rescued to save them. Menance and self-sacrifice - all at the same time. Avon teleports down, followed soon, of course, by his curious and disobedient crewmates. Avon follows a direction finder to a glass building and enters. He's attacked and, when he wakes up, finds Blake attached to life support. This is what he's been after all this year. He's now found Blake. 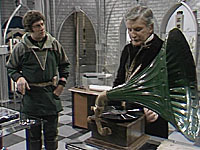 But Blake says he can't be disconnected and that Avon has to wait, but he says he'll tell Avon about a treasure. Here we have another confusion. Blake would know what makes Avon run, and it's not treasure, much as he loves gold. But this Blake acts as if that would be Avon's prime motivation. They've been apart a year now. Can it be that Blake seriously doesn't remember how to manipulate Avon? He would never have used that ploy when they were on the ship together. 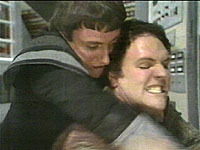 Giving Avon his trust was much more in Blake's style of manipulation. 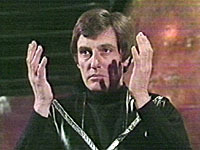 But if Blake talks treasure, Avon is perfectly willing to play his part in their charades. 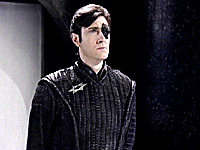 Avon leaves, but is captured and brought before Servalan. She explains that she wants Liberator and he wants Blake. She suggests a trade. Avon refuses. Here again we have a conflict between Avon being willing to kill the crew if they stop him from reaching Blake, and being willing to sacrifice Blake to save them. But that may be calculation of long term self-interest for himself and Blake, since he has a better chance to get away with people free to come after them, as he knows they've done before. With Liberator destroyed, the crew needs to find a way off Terminal. Servalan's ship turns out to be rigged with explosives, as does the base they had been in. 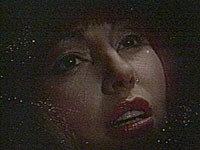 But when the base explodes, Cally is caught inside and dies, her telepathic scream of "Blake" echoing as her death cry. 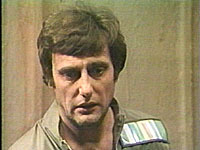 The crew discover that there is a small ship on the planet and they force its owner, Dorian, to fly them off the planet. But once in space, the ship takes an automatic course to Dorian's base on Zenon, where Dorian's beautiful associate Soolin is waiting to welcome them. She unloads their guns while they're changing, and Dorian explains that he's planning to use the group, Soolin included, as a gestalt to replace the dying creature in the basement who keeps him alive. 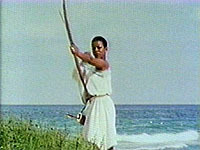 Vila comes thru with a working gun, and Avon kills the creature, thereby killing Dorian. A spaceship in a hanger isn't much good if you can't get it out, and the door is too good for even Vila. The crew looks for another way off thesome planet. On the surface they discover warring tribes of men versus women. The women, embued only with telekenesis and nifty gadgets, are down to the last three women, and they would like to get Dorian's ship for themselves to get off the planet. Obviously, cooperation wasn't part of their survival skills, since they don't try to work with Avon. 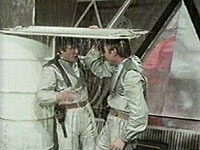 Avon decides it wouldn't be a good idea if the hanger door opened just yet and instructs Orac to slow down the effort. 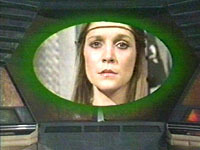 Orac notes that the crystals the leader of the women is wearing would be just the thing for a working transporter. 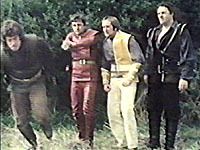 Avon kills the leader and transports up the crew, joined by Soolin who decides she'd rather continue her career as assassin with them rather than with the friendly natives. Another planet, Helotix, looks like it might be joining the Federation. 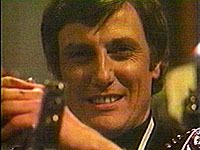 Avon, now taking over Blake's role as revolutionary, feels they need to talk to the local rebel leader, and sends down Tarrant and Dayna. Hunda explains that there's a new pacifying drug being used. 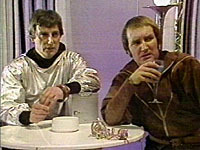 Avon, meanwhile, wants to upgrade Scorpio, the battered heap that's taken the place of their lovely Liberator, and asks Orac to work on redesigning the drive. 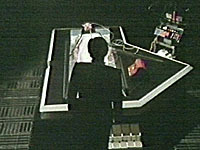 Feeling that such mundane work is beneath him, Orac assigns the problem to the planet computers, thus setting up a link that is noticed by the Federation. 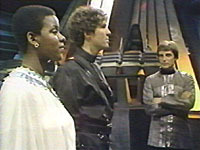 When Tarrant and Dayna return, they tell Avon that they've seen Servalan, who apparently didn't die in the explosion of Liberator, but is now under the guise of Commissioner Sleer. Avon has made a high level miscalculation when he tries to hide Scorpio behind an asteroid. 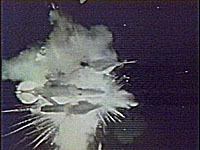 The ship is badly damaged and just as it looks like they'l fall prey to three Federation ships, the ships blow up. On examining the explosions, they discover a small spacecraft flying at unbelievable speeds. 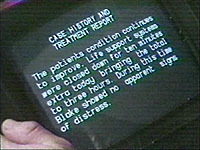 Orac explains that Dr. Plaxton must have finished her stardrive work. Since this is just what Avon wants, he decides to go to the base of the Space Rats, a violent gang that has kidnapped Paxton to give them the drive for their speed need. The crew rescues Dr. Paxton, who immediately begins to install the drive on Scorpio. 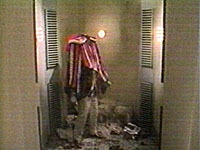 But the ship is coming under attack and there's no time to get Dr. Paxton out of the engine chamber and get Scorpio clear, so Avon cuts in the just completed drive, killing Dr. Paxton. This gets one of Avon's teeth-clenched smiles. 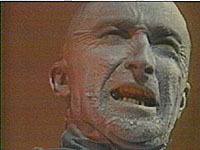 Every series has at least one Spock's Brain, and this is one of Blake 7's. Dayna and Tarrant go to Bucol2 in response to a message Dayna receives from her former tutor and lover. This scientist has been doing genetic experiments on animals to produce an intelligent animal that is resistent to radiation. Og, one of Justin's experiments that can understand language, has escaped and Justin needs help getting him back. But enter Servalan, who has gotten curious about why such an advanced little ship is on the planet. She goes to a lot of trouble to brainwash Dayna, rather than kill her, and Dayna ends up hating Justin. Then they brainwash Dayna AGAIN and now she loves Justin again just as Servalan kills him, and by accident, Og. Don't say you weren't warned. 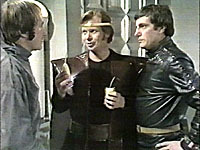 Tarrant and Vila are sent by Avon to Pharos to pick up an android made by Mueller, a student of the inventor of Orac, Ensor. When they show up, however, they find a dead guard and a box that is making Mueller very upset. When Mueller attacks them, Vila hits him over the head, killing him. This is not going to please Avon. Attempts to resusitate Mueller fail and he's put into a cryogenic chamber. Back on Xenon base, Avon is trying to comfort Mueller's companion, Vena. When she and Avon teleport to the ship to see the body, it's gone. Suddenly Mueller appears, apparently alive, back on the base. But he's still not too rational as he kills Vena, revealing to the crew that this is the androis, not Mueller. Apparently the android disguised himself by putting Mueller's head on his own body. Yuck. 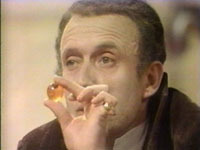 What it wants is Orac, with the intention of taking over the world. Soolin therefore hides Orac. 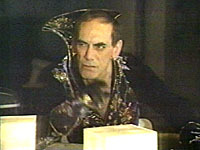 Vila, meanwhile, has opened the box that bothered the android and discovered the real android head that the android took off to put on Mueller's. 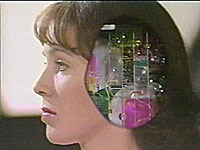 The android head has limiters that would control it if they could only stick it back on. Avon has a plan. They lure the headless android to a metal bridge tht they zap with heavy energy. 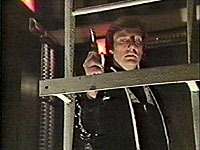 Avon attempts to put the head back on the android but is zapped by a release of energy. 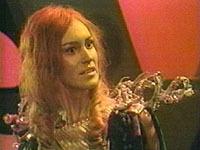 Dayna then blows the bridge, destroying the android, and really getting Avon mad. Servalan decides to subcontract out killing Avon and the crew, and hires Cancer, an assassin. The hit is supposd to take place on Domo, a planet full of pirates who capture spaceship passengers and sell them into slavery. Avon did so well by having himself captured and tortured to find Anna's killer, that he decides to try the tactic again and has himself captured for sale. Servalan thinks this might be one good slave to buy. But Avon escapes and follows a black ship containing a slave Servalan had previously bought that the crew thinks must be Cancer. They teleport on board and discover a slave girl and a dead man, who they assume is Cancer. But it turns out the guy was bait and the girl is Cancer. Everything clear? 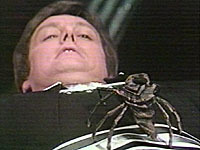 Cancer catches Avon and puts a deadly crab on his chest, but is foiled by Tarrant and Soolin. Attracted by the idea of limitless energy from feldon crystals, Avon comes to the mining planet Mecron II. But the man in charge of mining the crystal for the federation has been skimming crystals and stashing his take on an ore freighter. Complicating the crew's problem is Belkov's addiction to gaming. The computer that runs the complex, Gambit, makes you play games for anything, including the defense systems. 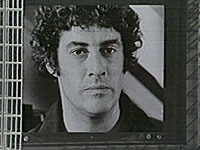 Vila is dispatched to open up the computer and find out how the defense mechanisms work, and overhears Belkov's plan to have his gaming computer friend blow up. This gives him an in with Gambit, who lets Vila disconnect some of his parts. The crew enter the ore freighter and play its games, but discover the last game involves a black hole that will destroy everything. Avon uses feldon crystals to get them out of the vicinity before things go boom, but it turns out that all they've found are fakes, even the feldon crystal necklace Vila has stolen. They're still after energy, and this time the Scorpio crew and Servalan decide to visit Virn, where a Federation crew died after reporting a new energy source. 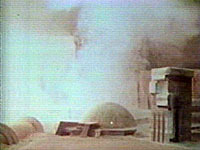 Servalan's ship crashes and she escapes onto the planet surface. 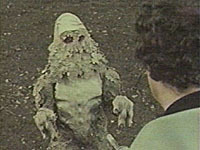 The planet is covered with a shifting sand, which kills one of her crew. The Scorpio crew doesn't do much better. 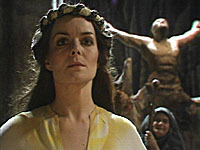 Dayna is injured and is teleported back to the ship, while Tarrant stays. 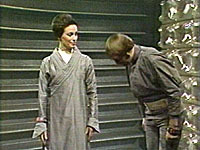 He makes a truce with Servalan and they break into the installation, where they find the still warm body of the research head, Don Keller, who was Servalan's first lover. She's greatly affected and Tarrant is softened by her anguish. They make love. Meanwhile, on the ship, Avon has figured out that the sand is sentient and that the small amount of sand teleported up with Dayna and Vila is making Villa ill because the sand wants a harem of women and one dominant male for breeding purposes. Avon recognizes that HE is the dominant male, so Vila is being eliminated. Tarrant has figured the same thing out, and accidentally discovered that water destroys the sand. This information lets Avon start a rainstorm from space that lets them escape the installation. 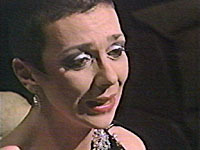 But when Tarrant lets Servalan escape, Avon is infuriated. Avon is contacted by one of his old friends who wants help pulling off a gold theft. Avon should have been immediately suspicious as he doesn't have a lot of luck with old friends. Keiller is the purser on a luxury line that he claims is actually a gold transport. To safeguard the gold, it's preprocessed to make it a a worthless black substance. Keiller believes he can thward the preprocessing so that they're actually carrying gold. 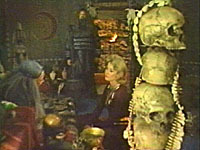 Avon goes along with the plan, which involves Dayna and Tarrant traveling as passengers and Dayna becoming too ill to continue. Vila will ride Scorpio to the rescue and offer to take her back to a medical facility. All works out as planned and the gold goes out on the stretcher with Dayna. 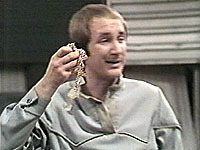 But it turns out that Keiller was planning to sell the gold to Servalan. 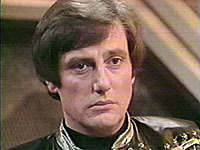 Avon continues with the plan and is paid by Servalan in Zerokian money. 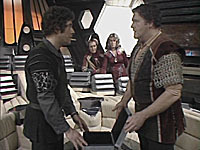 On the way back, Orac informs them that Zerok has been taken over by the Federation and the money is now worthless. So they have no money and Servalan has the gold. Invited by Egrorian, a Federation runaway scientist, to trade Orac for the tachyon funnel, an ultimate weapon, Avon and Villa arrive at Egroran's base to evaluate the weapon. 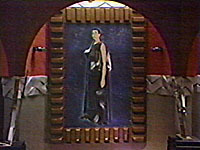 Each side is out to cheat the other, with Servalan in the background, hoping to obtain both for herself. 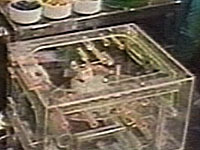 Avon leaves behind a fake Orac, and Egrorian sabotages the shuttle in which Avon and Vila are traveling. 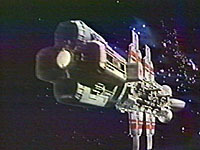 The shuttle is spiraling down toward the planet and Avon starts stripping the shuttle of weight in an attempt to stop the downward drift. At last there's nothing left onboard but the two of them and the weapon. Orac explains that they are still 70 kilos too heavy, and that Vila weighs 73 kilos. As Avon calls, "Here, kitty, kitty." Vila huddles in a locker. Their relationship will never be the same again, and Avon has lost his last friend. 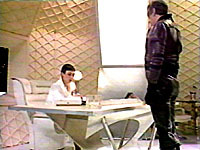 Avon is taking on Blake's position as lead revolutionary when he calls a meeting of warring revolutionary leaders to try to create an anti-pacification drug to stop one of the main Federation tactics. 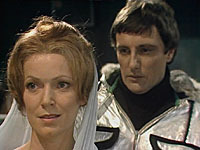 But Zukon is under the control of Servalan and detonates a bomb that destroys part of the Xenon base, and also lets loose a virus that kills Zukon's daughter, who has fallen in love with Tarrant. 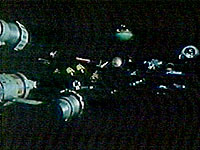 With the destroyed Zenon base behind them, Avon believes that he has finally found real clues to Blake's existence on Guada Prime. 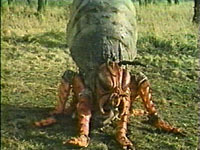 The crew teleports down, leaving the very brave Tarrant to attempt to crash land Scorpio, a very dramatic sequence. 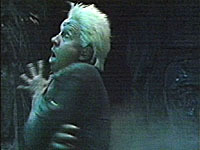 Tarrant is found by a bounty hunter, who turns him in for the reward. 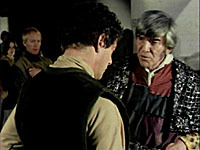 So when Avon finally comes upon the bounty hunter, recognizing Blake, he is told by Tarrant that Blake has betrayed them. 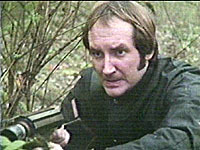 Avon brings up his gun and warns Blake to stand still. But Blake is certain he knows his Avon and ignores the gun. Bad mistake. Two years of increasing insanity has created a very different person than the one Blake left behind. Avon shoots Blake, and only realizes from Blake's dying words that it wasn't a trap, but a test. Clear Avon failed. So again Avon has killed someone he loves, only this time he knows he was wrong. As is his habit, Avon simply goes catatonic. Around him a trap closes and one by one his crew is shot and killed. 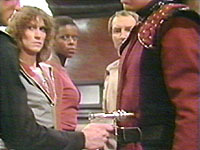 As the troopers surround Avon, he finally looks up from Blake's body and realizes the situation. He straddles Blake's body and slowly raises his gun, then smiles that teeth-clenched smile that chills the blood. And over credits you hear the sound of gunshots. 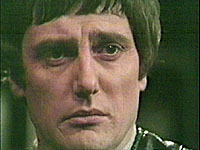 The Blakes 7 episodes are available in PAL DVDs through Amazon.com UK. For people in the US, these DVDs will play on your computer, but NOT on your TV. The only safe way to play them on your computer is in an external DVD player devoted ONLY to PAL DVDs. When you put a DVD into a DVD drive, it's able to tell whether the DVD is PAL or NTSC (US standard) and play the DVD correctly. But it will ONLY SWITCH BACK AND FORTH something like 7 times. After that, it stays on whatever was played in it last. So if you only have a single DVD player, you could get it stuck being ONLY able to play PAL DVDs. But you're safe if you attach an extra DVD player to your computer and use it exclusively for PAL DVDs.